A dedicated champion for urban causes and midtown Phoenix, Edward Jensen has been hailed as one of central-city Phoenix’s leading thinkers. He is the head of his eponymous firm, Edward Jensen urban productions, whose work helps individuals and organizations advance our community with an emphasis on technology design, arts, and the urban form. 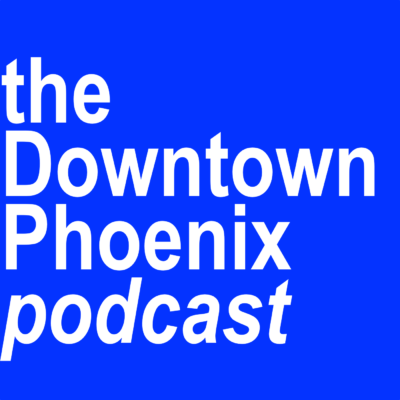 Past major initiatives of the firm have included The Downtown Phoenix Podcast, a critically acclaimed program that created spacious and intelligent conversation on issues important to urban civics, as well as other urban design projects, political campaigns, and major central-city initiatives. In 2018, he will complete his tenure as Director of Information Technology Services for Tapestry on Central Condominium Association, a 292-unit midrise in the heart of midtown Phoenix. In his first year, he worked with the Board of Directors to embark upon a modest $75,000 Information Technology Modernization Capital Project that has yielded over $55,000 in yearly operational savings. Building on that success, he then oversaw an ambitious capital improvement program over his tenure that has more than paid for itself in operational savings. As part of his role, he also liaises with the community’s Board of Directors, its professional management staff, and its homeowners to identify ongoing improvements for the community. Other civic engagements and appointments include serving as a Commissioner of the City of Phoenix Arts & Culture Commission. 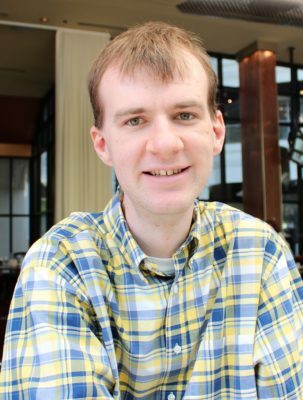 He is a 2011 alumnus of Arizona State University, having graduated with honors in Urban and Metropolitan Studies from the School of Public Affairs and a recipient of Outstanding Service and Outstanding Student Leader awards. Mr. Jensen lives in midtown Phoenix and he regularly updates his blog at edwardjensen.net. A note from Eddie… Contrary to what my writings might say, no, I don’t hate Phoenix. This is my hometown. I want it to succeed, whether I’m still living in Phoenix or if life takes me somewhere else. If they’re offered, my criticisms on Phoenix are rooted in university studies in urban policy and a constant eagerness to learn what it is that makes cities tick. So far, what I’m seeing in Phoenix is not that. And again, because I want Phoenix to succeed, that makes me upset. If Phoenix is going to be a relevant city in the economy, it has to address those items. Addressing other items before that is a non-starter in my book. And that’s why I write and advocate.